In many cases, we find that the addition of a few simple home therapies is all that is needed to make significant improvements in a patient's condition. 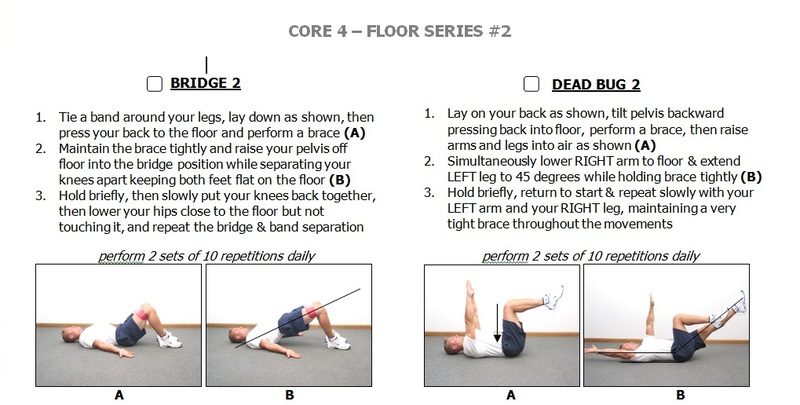 We utilize simple floor exercises, gym balls, and thera-bands as tools in implementing many of these exercises. We have rehabilitative exercises that can address a wide range of problems: spine, shoulders, elbows, wrists, hips, knees, ankles and feet.